More than 40 Maryland breweries will participate in the Maryland Craft Brew Festival in May along Downtown Frederick’s beautiful Carroll Creek. Frederick County has become quite a hotspot for breweries. 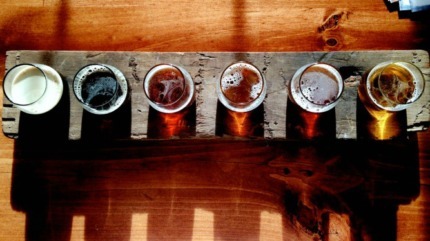 You’ll find everything from small farm breweries to Maryland’s largest brewery, Flying Dog. Frederick County breweries – Barley and Hops, Brewer’s Alley, Flying Dog Brewery, Milkhouse Brewing at Stillpoint Farm, Olde Mother Brewing, Red Shedman Farm Brewery and Hop Yard, and the newly opened Smoketown Brewing Station -- will be represented at the festival, operated by the Maryland Craft Brewer’s Association. In addition to Maryland beer you can nosh on tasty food and enjoy live music. With this year’s Maryland Craft Brew Festival on the horizon, we decided to ask some local brewmasters about their favorite beers. Q: What is your favorite beer that you brew? A: While I am really pleased with all of our beer at Red Shedman, I like a beer with a lot of flavor and a nice balance, so it&apos;s a toss up between our Vanilla Porter and IPA. A: I love them all! It&apos;s sort of like asking a parent to name their favorite child. A: Currently our Fever Dream Mango Habanero IPA. Q: What is your favorite Frederick-brewed beer that is not one of your own? A: It would be a lot easier to answer this if I had a beer in my hand right now, because whatever that beer would be is the one that I&apos;d say is my favorite, ... at that moment. But, alas, I don&apos;t have a beer in my hand right now and I really wouldn&apos;t want to endorse one of my craft beer brethren over another, since there is so much good work being done and there are a lot of new brewers coming on line who are still proving themselves. A: I love all of the beers that Tom Barse puts out at Milkhouse Brewery at Stillpoint Farm. If I had to pick one it’d be Dollyhyde Farmhouse Ale. 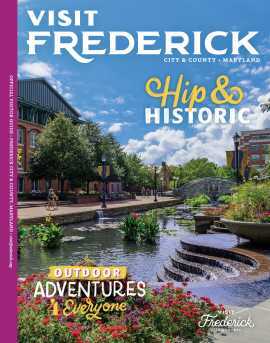 Q: Where is your favorite place in Frederick to drink a beer? A: Brewer&apos;s Alley, of course! But the tap room at Monocacy Brewing would be a close second. A: There’s nothing better than having a beer and watching a ball game. Drinking a beer at a Frederick Keys game is my number one choice. 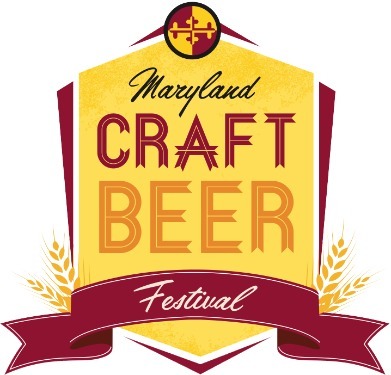 Get your tickets for the 2016 Maryland Craft Brew Festival today!